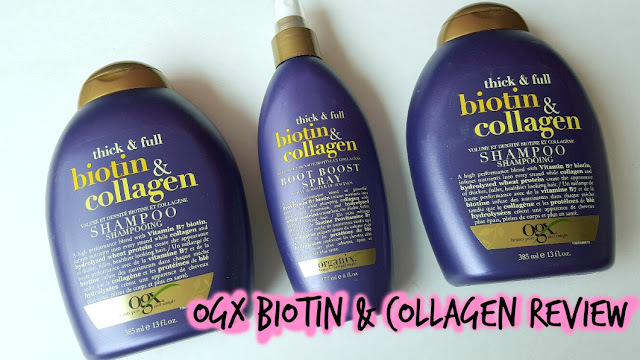 A month ago, I received the OGX Biotin & Collagen Shampoo and Root Boost Spray to try. ( I think I was supposed to receive a conditioner instead of two shampoos, but hey - not complaining here). Unfortunately, I didn't have a chance to try out the conditioner so I will not be reviewing that product here. Prior to testing out this line, I had used the OGX Coconut Water Shampoo and the Argan Oil of Morocco Conditioner. I am a fan of the Coconut Water shampoo, it is very light and hydrating and it didn't weigh my hair down. It didn't have a strong artificial coconut fragrance which is definitely a positive. The Argan Oil of Morcocco Conditioner was okay, it wasn't anything spectacular so I wouldn't repurchase that. However, I would definitely repurchase the Coconut Water Shampoo. While I found this to be very hydrating, it weighed my hair down a bit. The volume part of it only lasted an hour or two until it deflated and my hair got relatively oily quickly. By the end of the day, I was pretty greasy. This typically happens to me if the product I am using is too moisturizing or rich. Overall, I prefer products that have a cleansing component in which I can follow up with a volumizing spray or product. For example, I am actually quite eager to try the OGX Australian Tea Tree , Eucalyptus Mint or the Tea Tree Mint line. 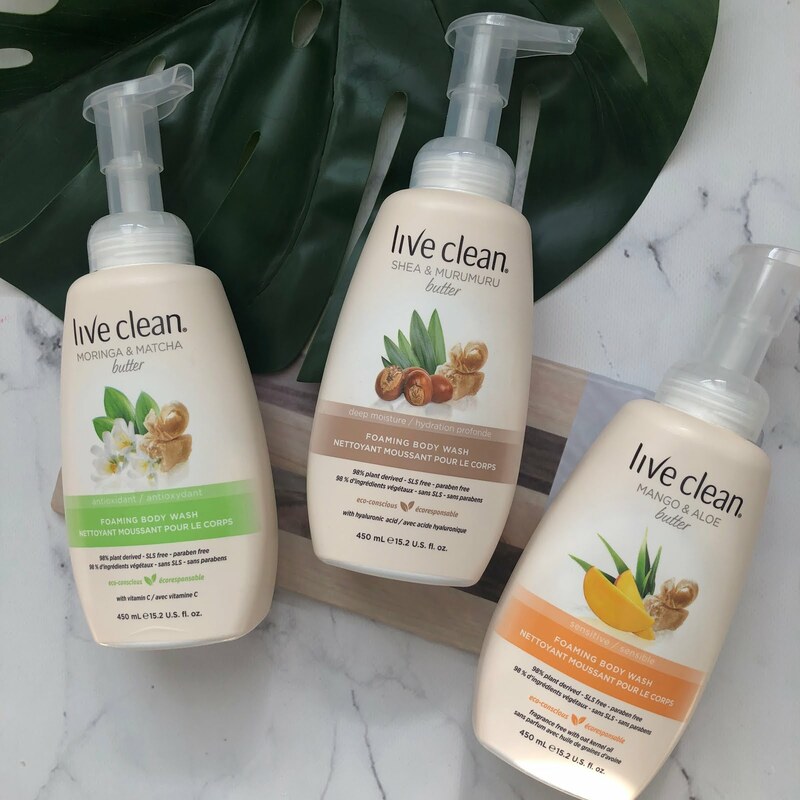 That is more of the range of products I tend to lean towards, Minty or Peppermint type products - that is what I was previously using before trying out this line. 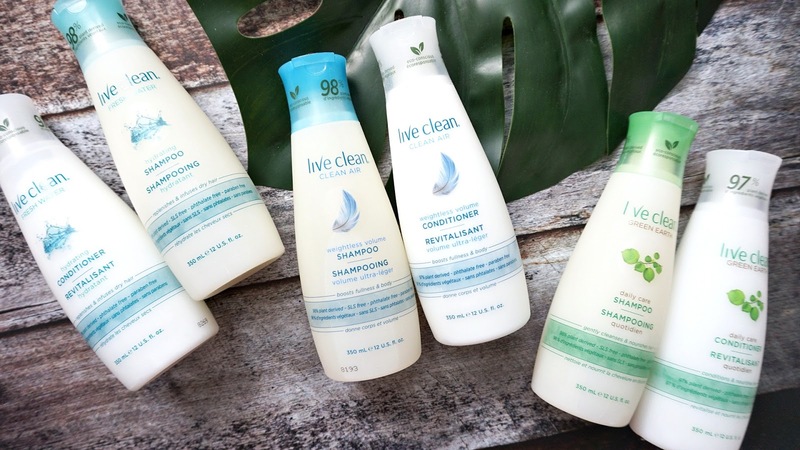 Overall, I would not repurchase this specific product, however I would love to try any of the mint lines mentioned above and will definitely continue to use the Coconut Water Shampoo (on rotation). Have any of you tried the OGX line? What are your thoughts? P.S. I have passed this product onto two of my friends with thicker hair than I and I am waiting to hear their thoughts. I am thinking because my hair is quite fine and thin, (like I said above) the product is too rich which can put some added weight to my hair and weigh it down. Oh darn I can see that happening! I tried it and quite liked it! I didn't see any volumizing effects per say but did enjoy the smell and lather! Those new lines sound amazing!!!!! Anything with Tea Tree oil makes me excited!